Why do so many runners get knee injuries? Knee injuries from running can be a real setback. Running can be beneficial in so many ways. It is not only a good form of aerobic exercise, but it is also good for mental health as it is a great stress reliever. Add in the social benefits and the feel-good factor, and it has great appeal. Anatomically, the hips and the ankles are well designed for running, but the knee has to absorb a lot of shock during running and isn’t the best designed joint for that role. But the real reason so many runners get knee injuries, especially chronic injuries, is through lack of knowledge. 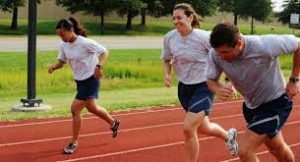 Whilst running is easy to get involved with, it is one of the least supervised sports or pastimes.